Surrounded by blue seasand majestic mountains, you will find Reine, the iconic fishing village of northern Norway’s spectacular Lofoten archipelago, home to historic hotel Reine Rorbuer. By hosting breathtaking northern lights in winter and 24-hour sunshine in summer, Reine Rorbuer guarantees visitors memories that last a lifetime. Despite housing just 300 inhabitants, the village of Reine is and has always been the beating heart of Lofoten’s humble yet thriving economy. 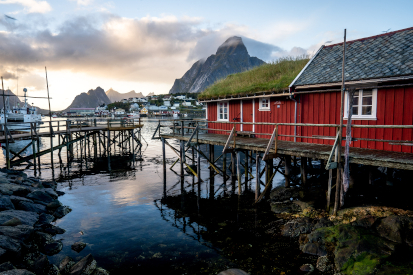 Reine has a long history of fishing and is known mainly for its cod and stockfish. The Sverdrup family runs the village’s main fishery, a business founded four generations ago by Otto Sverdrup, a Norwegian sailor and Arctic explorer. “Reine is tiny–it’s a very honest place with friendly people. It allows visitors to experience the real lives of people in the north,” says Alicja Kass, hotel director at Reine Rorbuer. The Reine-based hotel prides itself on being certified sustainable by the Eco-Lighthouse Foundation and is part of the Classic Norway chain, which includes 16 distinctive resorts throughout the country. 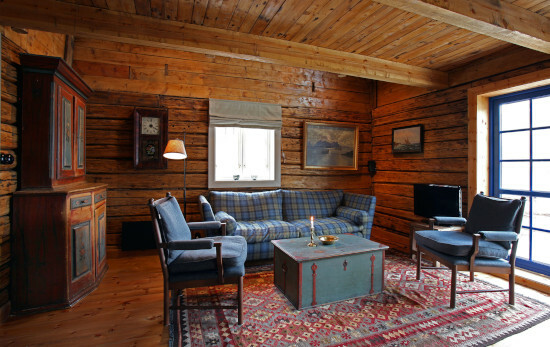 Rorbuer is composed of several converted cabins, all with panoramic mountain views. These modest dwellings were originally home to fishermen who migrated to Reine to fish Arctic cod during the winter months. “We have put a lot of effort into retaining the cabins’traditional charm, but have also incorporated modern luxuries such as high-speed Wi-Fi,” says Kass. The hotel also boasts its own restaurant, originally the first grocery shop in Reine. Much like the cabins, the restaurant has been carefully restored and is today a place where guests can enjoy innovative fusions of new and historic cuisine. Why not try the locally sourced, grilled cod sprinkled with Lofoten’s own seaweed? It is no secret that a trip to Lofoten is an attractive entry on the bucket lists of most travellers, but they do not come solely to soak up the area’s majestic views. They come to experience the abundance of local activities such as hiking, cycling, fishing, diving, kayaking, surfing and even guided tours on how best to photograph the famous northern lights. Rorbuer’s team of dedicated professionals helps guests tailor their own special adventures and is constantly innovating to come up with new ways for them to experience Lofoten’s natural beauty.With their help, Reine is today so much more than just a flourishing fishing community–it is a source of life. “In all honesty,the main thing our guests regret is not staying here longer,” concludes Kass.